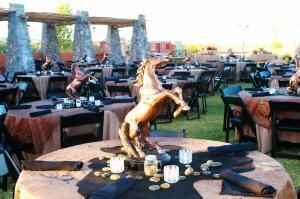 Destination Arizona Conference Planners is Changing the Way Meetings are Implemented around the Valley! (We hope no one notices.) Don’t give us any credit for how well things are going here. When it comes to receiving kudos for a job well done, we’d prefer you accept them. So when your group raves about their Desert Jeep tour, you can just humbly tell them you did the best you could. When your golfers go on about how incredible their course was, just smile and say you got lucky. And when your superiors shower you with compliments about how smooth the Scottsdale program went, say something like “just doing my job.” If you’re not getting that kind of feedback from your events, give us a chance to make you look better. Every recommendation we make comes from our Destination Arizona-approved collection of services. So no matter what you choose, it’s already been qualified as the best the Valley has to offer. And all our vendors know that only the highest level of service is acceptable on a Destination Arizona Conference Planners program. We want your Arizona experience to be the best ever. Our collection highlights some of the services you’re looking for on your next trip to the Desert Southwest. Of course, if anything’s missing, just let us know. We have Destination Arizona-approved solutions for every assignment.